Hi all! I am back this evening to share with all of you my newest addition to my craft space. Right after the New Year, my hubby and I took a trip to Springfield, MO which is about 1 1/2 hr. from me to do a little shopping and cash in on some coupons. At Michael's they were having a sale on all of their storage, including all of the JetMax storage. 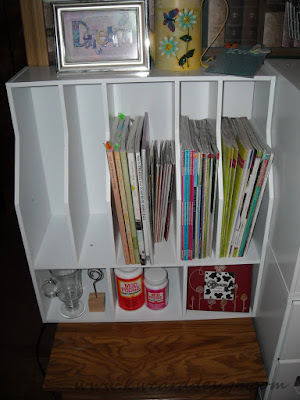 I bought this magazine organizer, because I didn't have anymore room in my other storage for magazines, and I knew I would be growing with my magazine collection as time went on. 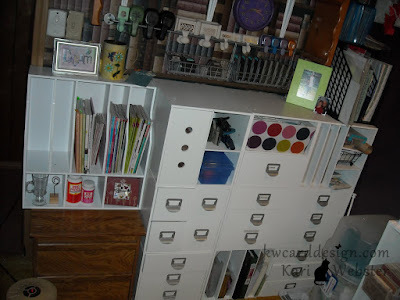 Last weekend, I felt in the mood to change around my craft room some, and clean out some things. I have been purging some supplies, and things I don't use anymore, too. So now all my Jetmax cubes are all on one wall when you first come into my room. Like many of us - we all probably have more paper than we will ever use, but I know for me - even though I have lots of paper, it is hard to say no to a 6 x 6 paper pad. They are the perfect size for card makers. It seems you don't waste as much as you would obviously with a 12 x 12 or an 8 x 8 piece of pattered paper or cardstock. 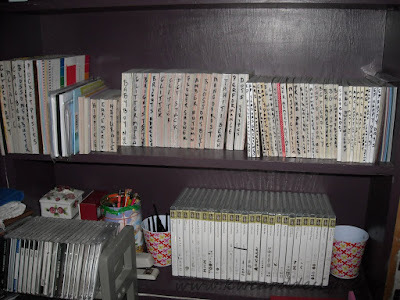 Well - I just wanted to share my love of 6 x 6 paper pads, and believe me this collection is growing too. And, I also love the way Stampin' Up has their cling stamps now. I rarely buy a wood mount stamp anymore. It is funny - when I started out doing this over 2 years ago, I only wanted wood mount stamps - and now that has totally flipped!! I love my space. It is my safe haven for sure!! A place where I can come, and relax, and whether or not I am making something or not....if I am in my room just surfing the web, tending to my blog, or what ever it is...just being in my space makes my heart happy!!! Maybe sometime soon I will do an updated video as well. 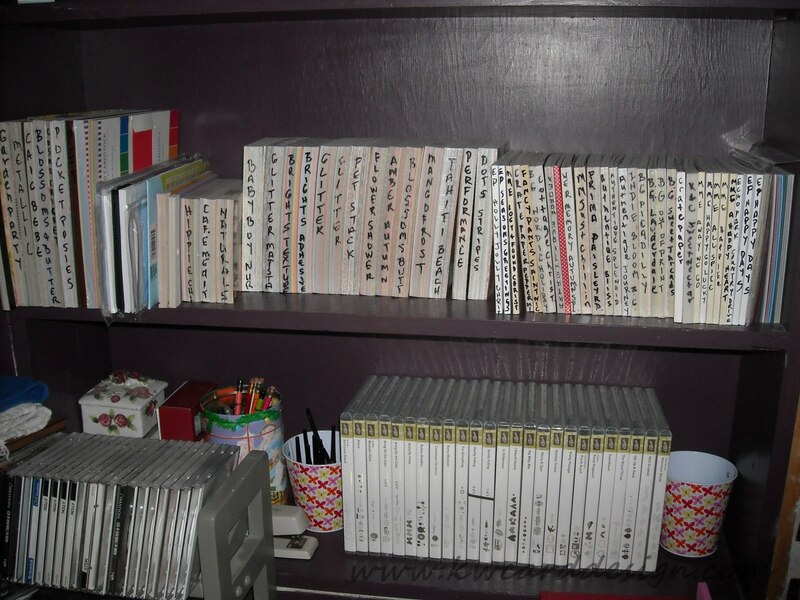 I love that you've written on the spines of your paper pads! 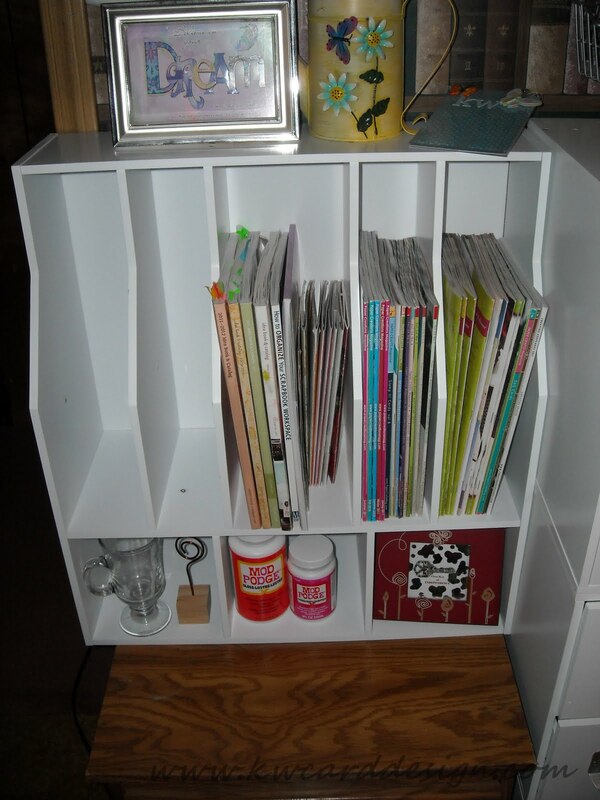 What an awesome way to keep everything organized. I usually end up wasting time going through all of my paper trying to find the right one, but if I wrote on them like that it'd save a lot of trouble! great crafty organizers! It looks so clean in that space, I'm sure you'll be spending a lot of time jn there! Unfortunately my fave stack company does not make 6x6, so I don't have any! Ahhhhhh!